Have a Coffee, a Cake and a Chat and Help Beat Cancer. 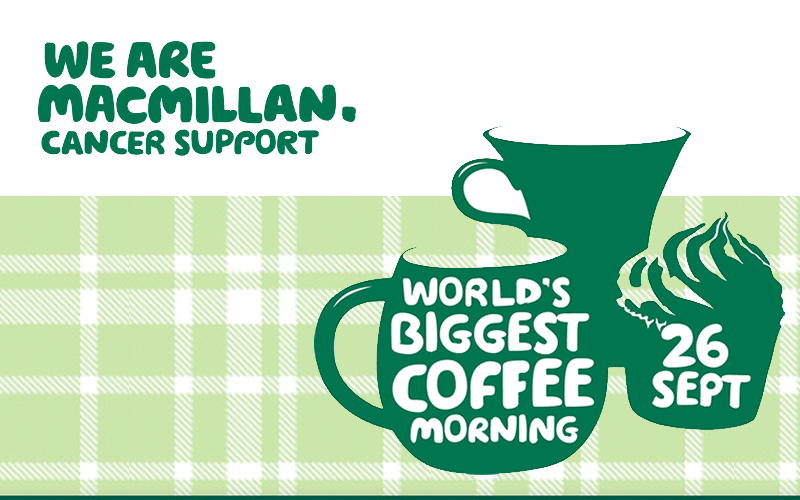 The world’s largest coffee morning is coming to Blackburn. Launched in 1990 the Macmillan coffee morning has raised millions of pounds for the Charity and has allowed Macmillan Cancer Support to provide often life-saving and invaluable care to thousands of families and patients to overcome and understand life threatening and terminal diseases. 2013 was the best ever year for the coffee morning and this year Macmillan are aiming to break their own record. There are coffee mornings across the Borough and residents can take part in the following places. The Macmillan Cancer Improvement Partnership are a hosting a fun filled day of events on Tuesday September 23rd 10 am – 2 pm at the Your Support Your Choice Shop (located across from Blackburn Central Library, Town Hall street). Open to the public the Partnership are not only offering coffee and cakes but badge making, bookmark making, Henna painting and much more. For more information contact Nazmun on 07803 203702. On Friday September 26th, the Revidge Community group ,sponsored by the Your Community Your Call, scheme will be hosting a Coffee morning 10am – 3pm at the East Lancs. Cricket Club. The event will also include a raffle, a quiz, nail art and a big book stall also N.H.S staff will be on hand to carry out free health checks (subject to criteria). Also on Friday 26th Blakeys, found within the heart of Blackburn town centre and at the centre of the King Georges Hall complex, will play host to a coffee morning 9:30 am – 11am.